Our Dental Prosthetist, Dino Contin is the owner and operator of Dino’s Denture Clinic. He has continued in the family business, working with his father until he retired in 2011. Proudly based in the northern suburbs, the clinic has been servicing the community since the early 1970’s, and still continues to do so. 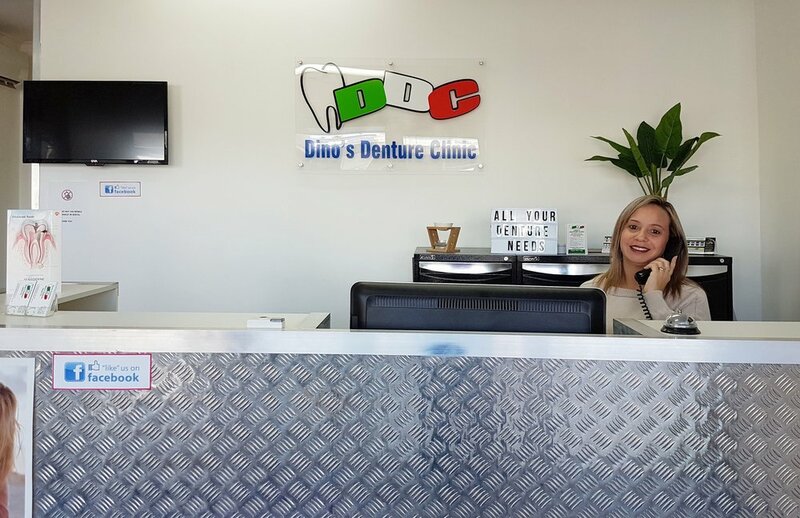 Dino has over 25 years experience in the denture industry, firstly as a Dental Technician, and later qualifying as a Dental Prosthetist in 1998. Located at 634 High Street, Preston, Victoria, in our clinic, we use all the latest equipment and products, and have a highly experienced staff and dental team. We believe that you deserve to have the best smile possible and that is why we tailor our products and service to your individual needs. No referral is necessary to attend our clinic, and we do offer obligation free consultations. We work in conjunction with local dentists, and are able to refer if necessary, thereby informing of all services and treatments that may be required. When you visit our clinic, you will be welcomed with a friendly smile in a calm and relaxed environment. At Dino’s Denture Clinic, we are continually looking for ways to improve ourselves and our clinic. We will endeavour to create positive results by listening carefully to your individual needs, and our aim is to improve your smile with comfortable, well fitting dentures. We are registered members of the Australian Dental Prosthetists Association of Victoria.